Time Commander Graphical IR Programmable Remote Control, easily change your BRG Programmable or Fixed Time Zone Clocks with this intuitive graphical interface remote control. 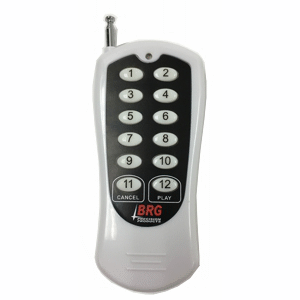 IR and Radio Remote Controls for BRG Time Zone Clocks and the BRG Carillon Electronic Bell System. Lost you remote control? 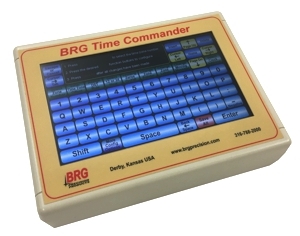 We can help you out with a Time Commander IR Remote, IR Remote or RF Remote control for your BRG Clock, Time Zone Display, Timer or Carillon System. 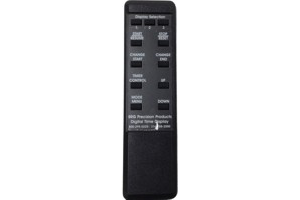 This Remote only works with BRG Digital Clocks that have a IR Receiver in them. 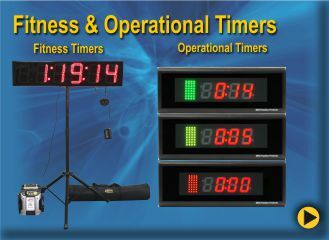 If you're not sure if your clock is compatible, call Technical Support at 316-788-2000, option #2 and they will verify. Replacement hand-held RF remote control. This remote control is a replacement on all new systems and all upgrade systems that are sold after August 1, 2015. 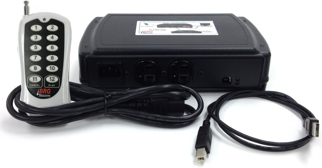 Included in the Upgrade I package, the amp power relay will extend the life of your audio amplifier. Using the remote you can turn the amp on and off. No only will result in power savings, it also increases the life of the audio amplifier since it is not powered 100% of the time. 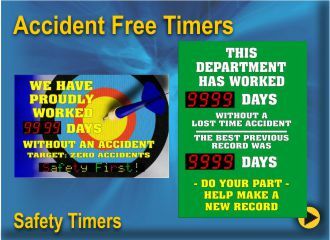 professional, Call 800-295-0220 for Sales Assistance.